I find great joy and fulfillment in helping authors learn to convey their ideas in clear and precise ways while still preserving their individual voices. When I first started editing, I wasn’t sure if I cared too much about penning my own stories. My heart was for others; and besides, I wasn’t sure I had a story to tell. So it was with great surprise and excitement that my story came in the middle of my personal Bible study with God. I was reading a familiar passage when images, people, and places appeared in the world of my imagination; and I knew I had to write them down. Delving into my own work in progress (“WIP”) has given me greater insight into the struggle that authors go through. By the time their manuscripts arrive in my inbox, they have poured months and sometimes years into bringing their pages to life. They have revised and rewritten multiple times and they are finally ready for a final polish. It is a vulnerable place to be—to have a professional handle your work with the intent on improving it. But if you are still neck-deep in your first draft, you may wonder if you will even get to that point. Life can be full of obligations and responsibilities, and your writing can sometimes fall into last priority. Or maybe you have plenty of time to write, but the words you need are MIA. The following have helped me survive the discouragement, the weight, and even the elation of composing that first draft. I hope these will help you too. Editing uses a different part of your brain than writing does. When you are in the creative mode, you don’t need to think about whether your sentence structure is correct or even if you are using the right words. Just tell the story. You will edit it later. You may not have the time to sit in front of the computer for hours every day; but if you write a little every day, it accumulates. All those days you would have said, “I’ll wait until I have enough time” turn into useful stepping stones to that finished product. When I first started my WIP, I would allow weeks and sometimes months to pass before I would pick it back up. I was waiting for large blocks of time in which I could get substantial work completed. At one point, an author friend challenged me to write one page a day and I took him up on that challenge. The problem was, I wasn’t always able to be at my computer long enough to hammer out a page. So I came up with a solution that worked for me. I carried around a diary everywhere I went and anytime I was able, I wrote down the story by hand. My goal was one page a day. That small diary page may not seem like a lot, but at the end of a very stressful, full day, it was doable. As each day passed, the story took shape and slowly, but surely, became a reality—all thanks to my friend who challenged me. That leads into my next point. …who will challenge you, encourage you, and ask you about your WIP. These friends can be found in a writers’s group, at church, or in writing forums online. It is important they be trustworthy and want you to succeed. The last—and most important thing to keep in mind—is that you are not on your own with this draft. You have been made in the image of God, and He has given you this story. Since He is outside of time, He has already seen your completed work; He knows how the story ends, and how you are going to get there. Anytime you find yourself at a loss for words, return your mind to the place of His presence. Meditate on His love. In His presence, your sins are erased. There is nothing between you and His love. He has opened His mind to yours and joined your spirits together. In that place, your story will continue. Your efforts fall away, and His strength becomes your sustaining force. These are the things that keep me plowing ahead, excited to see how the story unfolds. What other strategies have you discovered to help you finish your WIP? I would love to meet you! Join me May 1–2, 2015 in Austin, Texas at PENCON 2015, the only convention for Christian editors. Learn how to enter the editing field or enhance an already established business. Network with other editors, and meet with the speakers one-on-one. Visit: thechristianpen.com. I’ve been building websites since 2009 and I wanted to share my knowledge on that topic to help fellow freelance writers. Lately, I’ve been helping a lot of writers, small businesses and even startups to set up their own sites. I’ve also received a ton of questions from my visitors. In short, setting up a website is easy as boiling eggs these days. Fairly easy, but you can still get a couple of things wrong. Decide: Blog or a website? Blog is a type of website, nothing else. Blogs are built on CMS (Content management software), such as WordPress, Tumblr, Blogspot, Drupal and so on. I’m preaching WordPress since this is by far the easiest platform to add new content, images and even videos. So if you are a writer, go with WordPress. Or if you don’t like the interface for some reason, you could also try Blogspot. WordPress has a big variety of different FREE themes, which you can easily change on your WordPress admin page. It’s very user-friendly and doesn’t have a huge learning curve. With those platforms (WordPress & Blogspot) you are able to create a blog as well as a website or just a mixture of them. Problem solved. There’s absolutely no need to start learning HTML5 or any other coding languages. If you have some money to spend on your website – go with self-hosted option. If you don’t want to spend ANY money on your website – go with a free service. You have full control over your site. No one can take it down or delete it. As an alternative, you could try free blogging/website services such as Blogger or free version of WordPress. Now that you’ve got a website with a theme, be sure to add a couple of really important pages. 1) Add an “About me” page, so the people can check out whose stories they are reading. Just write a few lines about yourself – who you are, what you do and so on. This can get readers hooked up with your content very quickly. 2) Add a “Contact” page where the audience can reach you from if they have any questions regarding your writings. Be aware, though: If your website is starting to get a lot of traffic, you’ll get some spam as well. 3) Integrate email subscription service with your website so that you could gather your visitors email addresses and let them know about your new content, offers or even e-books. This email “marketing” software can be bought from MailChimp and Aweber. At first you won’t probably need it, but it’s worth adding at some point for sure. As I mentioned above, creating a website is not a rocket science. There’s absolutely no need to fill a web designer/developer pockets with your hard-earned money. It’s easy – just try it out and see how far can you go. If you get stuck, you can always search information from Google. The panic attack is nearing. The deadline for your book awaits you behind the next corner of time. Your brain starts to fight like a real ninja who is suddenly attacked by an army of mosquitoes. The writer’s block bites you from all directions at the same time. The white page becomes even whiter. It almost shines. How can you overcome all these sensations? Listen! I found such a simple method. It is so simple that even my two super-smart cerebral hemispheres wondered how this could be possible. It was a miracle. And I realized that… miracles are, in fact, in our hands. We can handle them if we use our knowledge and we trust in our passion. Not too long ago, I found myself in front of a shiny blank page while writing my first novel; wanting to give the reader tools to help their own life on this planet, I decided that my first novel will be a combination of Fiction, Romance, and Spiritual. It has roots in old manuscripts written by humans who have reached high spiritual levels, and though it I wrap the information into a romantic adventurous garment—the intention is to awaken the incarnated souls who are now on this planet to seek the hidden meaning of all that is said. I was left completely bewildered in my chair, near my desk, when the writer’s block hit me. Whatever I was doing to bring my inspiration back, did not return any positive results. During the moments when I was crying on my own shoulder, like a super yogi who can twist any member of her body, I was looking with lost eyes around me. The next revelation invaded my whole human being (I have to mention here that in my case, the revelations are coming like trains in a railway station…when they are needed, and never missing). I understood what was happening. The problem was my desk. Yes, you heard it well. My desk was positioned in such a way, that all the creative energy was being blocked. Even if this creativity would come in huge waves surrounding me, the energy created by my desk would block everything. Do I need to mention the so-called “poisoned arrows” headed for me from several directions? Having many fields of interests in this life, and most of them becoming passions, I started to apply my knowledge about Feng Shui. I changed the position of the desk, I improved sectors needed in a writer’s prolific life, and after this, I started writing again. The words were flowing in my head like a mountain river in its channel. The ideas were coming in such an intense way that I almost couldn’t follow all because of their speed. Unexpectedly, in those moments of total bliss, I felt something I could compare with guilt. I cannot stand any feelings of guilt; so instantly, a decision was made. I will write a book about handling the energies that affect a writer. And I started to write. (1) At the end of the first day, I already had written 20 pages. I was doing this with such a passion that nothing could stop me. (2) The second day found me in the position of wondering how to organize all the information—if I am using a Word document. For a novel, it is easy to handle the plot, but for a non-fiction book, the situation is somehow harder. You need to have control over what you are writing in each moment. At that point, I was losing a lot of time scrolling up and down inside the pages. I remembered hearing about the miraculous software used by the writers, called Scrivener. I made some online researches, but I was not prepared to buy the program. Therefore, I spent the rest of the day researching other options that could help my organizational process. I chose a free software also used by writers for its ease and efficiency. It is called yWriter and I never regretted using it. (3) The third day I spent studying what the software can offer my needs. (4) The fourth day was occupied with the book’s plot. I decided to split the ideas in 15 chapters, some of them having multiple subchapters. The next ten days kept me stitched to my chair. The ideas didn’t let me go too far away from my desk; they were practically invading my brain, so I had to rapidly take them out to fill the page in front of my eyes – a page that was looking like anything else, except a shiny blank page. I admit that I didn’t even sleep the regular eight hours, which I used to spend in my bed until that moment. I noticed that during the ten days, my sleeping habits had changed, and what before was eight, now became six or even five from time to time. I will not develop the theme here of what is necessity for the human body, nor will I talk about passion and desires. My goal was only to talk about “How to write a Non-Fiction Book in Ten days.” The main idea was already said. (1) While having a writer’s block, forget about your novel. (2) Remember that you have knowledge from so many fields of interests. (3) Look around you and find such a field. (5) Put them on the paper, like a novel’s plot. (6) Use the proper software to help you organize all the information. (7) Do research based on your ideas. (8) Collect information and organize them. (9) Start to talk about your knowledge, about your passion. (10) Add your heart there, powder on some soul, and mix it with some love for the reader who needs that information. Now… Start to write the best non-fiction book that you ever wrote. You can do it! To read M. C. Simon’s full bio, click here. Every time I teach Creative Writing: Poetry to college students, I spend some time going over how to submit poems for publication, and then I require them to send out two batches of submissions to literary journals at the end of the semester. I set them up for the reality of disappointment by talking about acceptance rates (often lower than 1% of submissions to journals) and by showing them my own Excel spreadsheet record of acceptances and rejections. I’ve actually had a handful of students get poems accepted on their first try with submitting, and my own acceptance rate has improved greatly over time, so we must be doing something right. Here’s the quick and dirty version of my publication lesson, which is based on tips my poetry professors gave me, on my own experience of submitting poetry for several years now, and on my previous experience of editing literary journals. Of course, the first step is actually writing and revising some brilliant poems, but being brilliant isn’t enough to get poems published. Check out the literary magazine databases on Poets & Writers and New Pages. Look over calls for submissions on CRWROPPS. Stalk (metaphorically, of course) the poets who seem to be your kindred spirits by looking at the acknowledgments pages of their books and submitting to the same journals that published them. Most importantly, be a good literary citizen and support the publications you most enjoy: purchase a print subscription, follow online issues, and invest yourself. You can’t do this with every journal you ever send a submission to (or at least I don’t have the time and money for that), but being an active reader of a handful of publications will likely make you a more savvy submitter of your work. When you have a better sense of which publications might prefer which poems, then you’ll be more likely to have work accepted. Also, connect with real, live poets and editors as much as possible at local readings or national conferences or wherever else you can find them, even on Facebook and Twitter. The more you network with other people in this community for the sheer joy of having their company and experiencing their art, the more you’ll hear about publication opportunities and find readers and publishers for your own work. You MUST follow the guidelines for each specific journal when you submit your poetry. Each publication’s website will likely have a tab for Submissions (sometimes housed under About or Contact Us). If they say to send 3-5 poems, don’t send just 1. If they say not to put your name on your poems, then don’t do it. If they want you to paste your submission into the body of an email, don’t send an attachment. Nothing will get your work tossed aside more quickly than ignoring simple directions. 3) Cover letters matter (sort of). If you’re submitting in hard copy, then your cover letter should be in business letter format. If you’re submitting by email, then you can be a little more casual with the formatting, but you still want to be somewhat professional. If you’re submitting via an online system, then you might only have a tiny box for a cover letter, so keep it simple. Keep the letter brief! You might tell them what you enjoy about their journal, but don’t go overboard. A simple “I’m submitting three poems for your consideration” with a “thanks for your time” is often best. One final thought: I was told as a student not to say that I was a student in my cover letter, and I caution my students about this as well. Even editors who think that they love undergraduates might be inclined against a set of poems if they assume that the writer is especially inexperienced. Your bio should be honest, of course, but it can’t possibly include everything about you, so be strategic with what you reveal. Find a system that works for you. As I already mentioned, I keep an Excel spreadsheet with columns for the journal title, the poem titles, the date of submission, the date of response, whether or not it was published, and any fees or payment. I also like to note how I submitted—online system, email, or hard copy. I had a professor who kept records on notecards in recipe boxes. Do whatever makes you feel organized and happy. Keeping track of submissions is important. If you’re submitting in earnest, then you can’t possibly remember when, where, and what you sent. Keeping some kind of log will ensure that you don’t send the same poems to a journal that already passed on them. It will also ensure that you don’t submit another batch of poems to a journal that is already considering a submission from you…that’s a sure way to annoy editors! This brings us to the topic of simultaneous submissions. Most literary journal editors are now comfortable with the reality that poets will send the same poems to a few different journals at a time, meaning that most journals will accept simultaneous submissions. (Note: Some publications still say in their guidelines that they won’t consider simultaneous submissions. You will have to decide if those publications are worth your time.) The deal here though is that if a poem is accepted for publication in one journal while it’s under consideration at other journals, then it’s the poet’s job to be a good poetry citizen and withdraw the poem from consideration with those other journals. This might be done via email or within an online system; again, follow the directions in each journal’s submission guidelines for best results. If you’re not one of those rare, lucky poets who have poems accepted on the first try, don’t worry. Most of us took a long time to get a first poem published, and sometimes even well-published poets have dry spells. Submitting poetry can be discouraging, but keep doing it. To pass along advice that was given to me, this is a numbers game. The more you send out, the more likely you’ll get something published. When I was first trying to get poems published in literary journals, I would try to keep around 40 submissions out at a time (usually sending a batch of 3-4 poems to 3-4 journals at a time). Your poems have to find the right editor in the right mood, so give them the best shot possible. 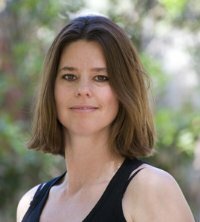 Dr. Katie Manning is the author of three poetry chapbooks, including The Gospel of the Bleeding Woman (Point Loma Press, 2013), and she is an Assistant Professor of English at Azusa Pacific University. Find her online at www.katiemanningpoet.com. You may have had ideas come to you in a flood, or you may labor over them until they’re fully delivered, but they all have one thing in common: they need to be developed into literature. So let’s go over some techniques to help you make the transition from a great idea into a great piece of writing! Do you have a lot of creative ideas for writing? Have you thought of more than you have time to develop? So what do you do with them all? ~ Write them down: An outline or a paragraph for the more complicated ideas, or a sentence describing the simpler ones, will help you retain your thoughts later. ~ Keep them organized: Index cards, filing cabinet, files on your computer, a binder. If you have multiple categories, you may want to divide them by color-coding the subject files. ~ Choose a subject: Now you have to pick! Consider the big ideas first. You may be able to combine a few into one story, but too many will confuse your reader. More is not always better! Consider your target audience, and focus in on that one idea. I would not recommend starting several writing projects at once. You could bounce from story to story, never finishing anything—or worse, get discouraged and give up all together. ~ Find a Writers Group: In person, or online. ~ Talk it out: One of the best ways I’ve found to develop a story is to talk it over, then talk it over again, and then some more! Have lunch with a friend or spouse, and share your ideas with them. Call another writer; you could be a sounding board for each other’s work. Using a tape or digital recorder can also be helpful. The idea is that sometimes listening to your thoughts out loud can be enough to get you moving forward in your plot. ~ Try Visualization: Play your story out in your mind like a movie. This is a powerful and creative processing tool. Picture your characters—what they look like, the environment they’re in, and what your senses are hearing, seeing, touching, smelling, and tasting. If you can picture it, it will be much easier to write. Photographs that represent settings or characters that you’re working on can also inspire you. ~ Sketch or Doodle: Even if you don’t consider yourself an artist, this can be very helpful. You could draw anything from a character, a setting, such as a castle or house, or even an aerial view of the land your work is set in. They don’t have to be worthy of publication; they’re simply to help you “see” your story better. ~ Charts and Graphs: This could come in many forms, from: a family tree showing genealogy, a timeline with a sequence of events, a chart with the climactic moments of your story, or a graph of your characters’s personality traits. The point is, it has to make sense to you and help your writing to move forward. ~ Storyboarding: This is simply using still pictures (photographs or drawings) to tell a story. Screenwriters and cartoonists commonly storyboard, however, it can be a very effective tool to lay out the storyline of a book. This could also be done in small sections on a dry-erase board. You don’t have to be great at sketching; you are simply creating images that are significant to you, or using words or word groups to keep track of where you are in your story. Including character descriptions, geology, dialog, or location can also be helpful. ~ Puzzle-making: This method consists of writing down storylines on strips of paper so that you can shuffle events around until you’re happy with the sequence. It can also be used to arrange a family tree, show relationships between characters, or just to keep track of your ideas. This can be time-consuming, however, it’s a great way to show the flexibility in your plot. In writing, the hardest obstacle to overcome by far—is SITTING DOWN AND DOING IT! Our lives are busy, and we have many demands on our time, but if you are able to carve out a time each day—or even a couple times through the week—you will be pleasantly surprised with the outcome. I hope these ideas have been helpful to you, and have sparked your creativity. J. D. Scott is the organizing member of Abba’s Writers in Phoenix, Arizona. She leads, instructs, and teaches critiquing and story development to its members. In 2013, J. D. Scott became part of the team at A Book’s Mind as a Publishing Consultant. She enjoys working alongside writers, helping them fulfill their dreams of becoming published authors. Before being bit by the writing bug, J. D. Scott spent 20 years working with children as a nanny, mentor, camp counselor, and youth-group leader. With a heart for today’s youth, she set out to write books that both entertain and inspire them to rise above the current culture and see their true value. She continues to live out her life’s passions of writing, publishing, and counseling/mentoring women and children. I am a writer, an author, and storyteller. It took me a long time before I could utter those words either on paper or in conversation. I was bound by fear—afraid of being judged, ridiculed, laughed at, or simply disregarded. My voice climbed only as high as the paper stacked. From the time I was a child, I enjoyed writing. Rarely, did I share my work with others—or even let people know my love of words. I only allowed family members to read my stories. After I wrote my first novel, I fantasized about being published—which actor(s) could star in the movie, and the potential revenue it could generate—but I didn’t spend too much time in “La-la-land”. Instead, I got busy writing the second novel, and by the third, I felt my work should be published. I was ready to share it with the world. However, I wasn’t sure if it was good enough to move forward. I knew my husband and daughters enjoyed the stories, but I felt their opinions were biased. After all, they were my family. I needed others to give me their honest opinions. I had many unanswered questions pertaining to grammar, continuity, and the lack of clarity when it came to editing. Even though I considered myself [somewhat] good at grammar, I wasn’t sure if I remembered everything from school. Does the story make sense, flow right, and keep the reader engaged? You can do only so much research from the privacy of your home. I needed help—actual, human, face-to-face support. One of the first things I did was join a writing group. It was an all-women’s group, so the tension seemed less nerve-racking. The group meets three times a month—one of which is a teaching class on grammar and other helpful tips. The second meeting, we are instructed to read our latest work out loud to the others. This was the most difficult thing I’ve had to do in a long while. Reading to a bunch of strangers—a story that I concocted—sent me into a shaking-fit, so much so that I decided to hand my pages to another lady to read for me. I was astonished by all the positive feedback, something I hadn’t expected. They helped, reassured, and gave me honest advice. It propelled me farther. Last year, I accomplished my goal. My third novel was published, and, for the first time, people were reading my work. It made me realize that others struggle with the very same issues as I did—not willing to share their stories. Some people are satisfied letting close friends and family read their work. For example, Emily Dickinson—a world-renowned poet—wasn’t discovered until after her death. Her younger sister found a lifetime of collective poems in Emily’s attic. Later, she sought the publication for her sister’s work. Imagine how different Emily’s life could have been if she had become published? If you are a writer and have written poetry, short stories, or novels that serve as dust-bunny habitats, it’s time to consider sharing beyond family. Trust me, I know how hard it is, like bearing your soul to the world. Research local writing groups or go to online writer’s forums. You will get a lot of advice, constructiveness, and learn a lot. Who knows, you could be considered as the next Hemingway, Rowling, or Dickens? Heather Squires’ life calling to be an author began in 1989 in Phoenix, Arizona. As an editorial writer on staff at the Utopian Newspaper, she decided to seek further review and publishing. The first project to be completed outside of the journaling world was To Desecrate Man, an action novel; completed in 2005, it became over shadowed by the second project: Rogue, a young adult fiction-adventure novel. Upon completion of Rogue in 2009, Squires’ place in the young adult fiction world became clear. The Sphere of Archimedes began to take shape, and was finished in 2011. Currently working on the sequel, The Omphalos of Delphi, she continues to create anticipation for the future of young adult fiction. Your manuscript is done. You’ve typed THE END. You’ve self-edited and have had your mom, best friend, sister, cousin, aunt, and the neighbor proof just in case. You’ve hired an editor to make it perfect, and you’ve gone through formatting and various platforms for self-publishing, or have handed everything over to your publisher to take on the remains of the process. Oh, if only it were that easy. I know I am not sharing anything original in saying that being an author was always my dream. It’s a shared dream—a wonderful dream. But for me, achieving that dream was always just out of arm’s reach. I was stymied by fear—fear of rejection, fear of failure, fear that I would write something deep and personal and nobody would care. And getting over that first hurdle, the rejection one, was enough to keep me stuck in pause for a long time. Writing was the fun part; dare I say, the easy part. Then the marketing began. My debut novel was a coming-of-age romance titled Waiting on the Sidelines, and before I hit publish, I read blog after blog on indie author dos and don’ts. I sent messages to some of my favorite indie authors, many who have gone on to become best sellers. And here is the cool thing—they all wrote me back. Every. Single. One of them. Colleen Hoover. Katja Millay. S.C. Stephens. Abbi Glines. Jamie McGuire. They are enormous names in my genre of YA and NA Romance. And they all took time from their busy lives to give me a boost when I truly needed one. I used their tips, went to many sites they recommended, and when it really counted, took to heart their advice to breathe and stay calm, remembering to enjoy the ride. Marketing my first novel was a trial by fire. I pushed publish and went with the grassroots method, using my personal Facebook account to recruit word-of-mouth. The next week, I started to reach out to book bloggers. My goal was to write a personal note to a dozen every night. My list has grown to more than six hundred, and I spend time tailoring each email to the needs of each blogger. It’s that extra touch, I feel, that is vital. Book bloggers are the biggest ingredient in an indie author’s marketing plan, and I respect them greatly. So if I need to block out enough time every day to write with them personally, to create guest posts for them, to answer their questions, and to send them copies of my book in a format that works best for them, that’s what I’m going to do. This practice has proven most effective, and my first two novels, Waiting and its sequel, Going Long, have remained in the Amazon top 100 for sports romance books for more than a year. I know I owe the blogging community for this outreach. My next emphasis was on social media. It’s one thing to be present, to post things and to share your own agenda—AKA pushing your book. But social media is just that—it’s social. You need to engage, having conversations on Twitter, reaching out to other authors and bloggers. Retweet for others, and guess what? Down the road, they will do so for you. We’re all in this together, and we’re stronger working together. The same goes for Facebook, posting and sharing for others, and asking your followers and fans questions so they feel inspired to engage in your posts. The more they interact with you, the more likely they are to come back. And really, as readers—powerful ones who share their opinions—keeping them happy, and coming back for more, should always be a top priority. I’m on my fifth novel now, and I’ve learned a lot of things along the way. I still adhere to the lessons from above, but I’ve found a few other things that work. I’ve also found some things that don’t—at least, not for me. Advertising is tricky—Goodreads ads for indie authors aren’t very expensive, but the click-through rate is difficult to increase. At least, it has been for me. I invest very little in paid advertising here, because I have found that my own elbow grease and social-media strategy tends to have a bigger reach. I’ve also incorporated things like YouTube book trailers (it helps that my background is digital marketing, and I’m fairly handy at video editing). Then I add things to the mix, like Spotify playlists to share the music that I listened to while writing, as well as regularly posted graphic teasers and excerpts from the book. I’ve learned that planning these various elements beginning a month out from a book’s release-date helps to build excitement, making your first day of sales far more successful. Finally, for me, I have found the best paid-resource to be a service called NetGalley. This is a service that allows authors to make their books available to readers of influence. It costs me $399 for a title, and my book is available to reviewers, librarians, educators, and bloggers for six months. They can read the book for free under the honor system that they will leave me a review somewhere. Reviews are like marketing gold. Are there people who will check out your book in NetGalley and never leave a review? Yes. There are flaws in every system. But I would rather have one more reader and the off-chance that they will tell someone, even just one person, about my book, than not try this service at all. So the flaws, I suppose, are worth the pay-off in my eyes. This is just a quick tour of some of the things that have worked for me. And every recipe for every author is just a little different, and that’s okay. It’s best to keep your mind open, and to try—especially things with little risk and low monetary outlay. Because once something works, it can become a powerful tool that will help power your dream. If I can ever offer a tip or advice, or be one of those “boost” emails for you, please feel free to drop me a line. Check me out online at www.littlemisswrite.com, and in the meantime, thank you for reading! 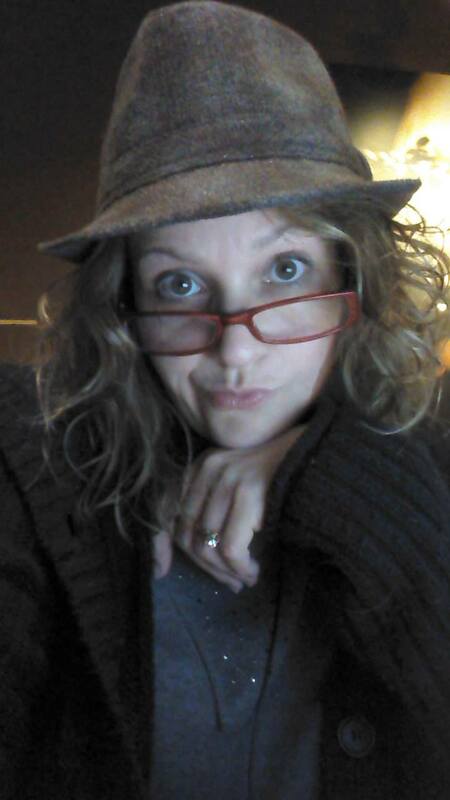 Ginger Scott is a writer and journalist from Peoria, Arizona. She has been writing and editing for newspapers, magazines, and blogs for more than 15 years. She has told the stories of Olympians, politicians, actors, scientists, cowboys, criminals, and towns. When she’s not writing, the odds are high that she’s somewhere near a baseball diamond, either watching her 10-year-old field pop flies like Bryce Harper, or cheering on her favorite baseball team, the Arizona Diamondbacks. Scott is married to her college sweetheart, whom she met at ASU (fork ‘em, Devils). Her debut novel, Waiting on the Sidelines, is a coming-of-age love story that explores the real heartbreak we all feel as we become adults throughout our high school years. She now has five books in YA/NA Romance. Waiting on the Sidelines, Going Long, Blindness, How We Deal With Gravity, This Is Falling (coming soon). The question all aspiring writers are desperate to know: How can I get published? When I first dreamed of becoming a published writer decades ago, that’s the first question I always asked at author lectures. No one had any magical answers for me, so I foraged my own path. As a result, I’ve been working as a professional writer for more than 20 years. During that time, I’ve had a non-fiction book I co-wrote published by one of the big-time publishers, McGraw Hill, started my own publishing company with a partner, published two young adult novels, and lived out my dream of having book signings at Barnes and Noble bookstores. In addition, I’ve had thousands of articles published in magazines, newspapers, and websites. This past year, I’ve added blogger to my list of achievements and am working on my fourth book. So what’s the secret to getting published? I don’t have a college degree and I didn’t know anyone in the publishing business to help get me started. So, don’t give up, there’s hope for all of you out there like me. To help you out, here are my top five tips. However, be forewarned, there’s no magic involved. Before you begin sending manuscripts out, take the time to learn the craft of writing if you haven’t already done so. I’m always surprised how many people don’t take this essential step. 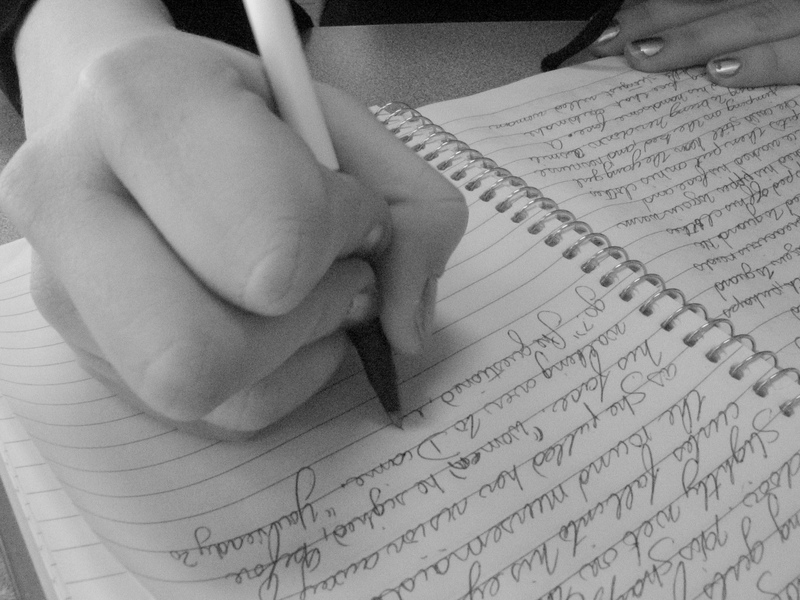 No, you don’t need an English degree at a fancy college to become a writer. But you do have to learn the basics – whether that means taking writing classes at a local college, reading every book on writing you can get your hands on at the library, taking advantage of all the information on the Internet, or attending writer’s conferences. This is a simple tip, but a crucial one – be sure and learn basic grammar, spelling, and writing techniques before submitting your work for publication. Many aspiring writers want to start out by tackling the great American novel their first time out to bat. Why not start small and work your way up instead? Believe me; you’ll learn invaluable lessons along the way and become a better writer. In addition, rejections for short stories and articles are much easier to take than rejections for a book that you’ve spent months or years pouring your heart and soul into writing. How did I break into the publishing world? Six long years after I took my first writing class at a local college and after countless submissions, my first short story was finally accepted for publication in a small literary magazine. Later that year, I sold an article I had written for one my college classes to a regional parenting magazine. These days, earning writing credits is much easier than it was 20 years ago with all the freelance writing sites like oDesk, Elance, Freelancer, along with dozens of others. You’ll have to work dirt cheap at first, but you can earn some writing credits. Hey, my first check for my short story was $22 and I was ecstatic. Just don’t give up your day job too soon. An agent is required for many of the larger publishing companies (but not all, as you can see in the section below, “Find a Publisher”) so it pays to try and find an agent to represent your work. If you take my advice in the previous section and earn some writing credits, you’ll be one step ahead in the game and have an easier time finding an agent. How did I find an agent for my first novel? Like I said before, I didn’t know anyone in the business, so I bought a copy of Writer’s Market, made a list of agents that specialized in young adult fiction, and sent out query letters. I learned how to write a good book proposal and when a few agents expressed interest, I sent them exactly what they asked for, which varied slightly. If you want to find an agent, edit and re-edit you manuscript, and make sure your query letter, book proposal, and/or sample chapters are free from any grammar or spelling errors. Don’t give up easily. Do your homework and make sure the agents you’re querying accept the kind of book you’re writing. And finally, don’t pay reading fees – generally it’s a rip off. One more tip: This is a good time to develop a thick skin. Pay attention when an editor or an agent takes time to point out flaws instead of sending a standard rejection letter. Editors aren’t always right, but don’t automatically assume they’re wrong either, especially if more than one notes a particular weakness. If you’re trying to get published, I don’t have to tell you, there’s SO much competition out there, so you MUST find your own unique voice and perspective. Just about every subject under the sun has already been covered, so it’s really important to find a different angle. For example, when I approached publishers regarding a book on building steel-frame homes, there were already quite a few books on the subject. But I couldn’t find any that focused on building energy efficient steel-framed homes. When it came time to find a publisher, having a distinct angle is what made my proposal stand out from the rest. Of course, this is easier said than done, but not impossible. By the way, I found a well-known publisher for my non-fiction book without an agent. My Writer’s Market was gold once again, and I simply sent out query letters and followed up with my book proposal if publishers were interested. My tip: Be sure and have a detailed marketing plan in place before you begin this process. This book was co-written with my father, a civil engineer, and our plans included seminars, speaking events, as well as other promotional efforts. Remember that even the big time publishers expect you to get out there and promote your book like crazy. Of course, now publishers also want you to have a social media presence and build an author’s platform. The latest Writer’s Market suggests you need about 5,000 followers to get a decent advance. So, now that I have an idea for a fourth book, guess what I’ve been busy doing? So there you go, my top five tips I have used to become a published, professional writer. While it’s true that the publishing world is constantly evolving, one thing hasn’t changed over the years – and it’s my most important tip of all if you want to be a successful writer – don’t give up! You’ll definitely need the three P’s of writing: patience, persistence, and perseverance. In the meantime, try and enjoy the journey. Writing is certainly a roller-coaster ride with plenty of ups and downs, but it’s also an adventure. Julie Gorges is the author of three books, has had hundreds of articles and short stories published in national and regional magazines, and won three journalism awards while working as a newspaper reporter. Follow her for amazing posts, and check out her blog, books, and social media! Editing Addict is teaming up with bloggers all around the world. Want to be a Guest Blogger? Let us know, and review our Guidelines and Information Needed For Guest Bloggers.